Travel with Kevin and Ruth! : These are some different camping rigs! Came across this neat little rig in the U.K. 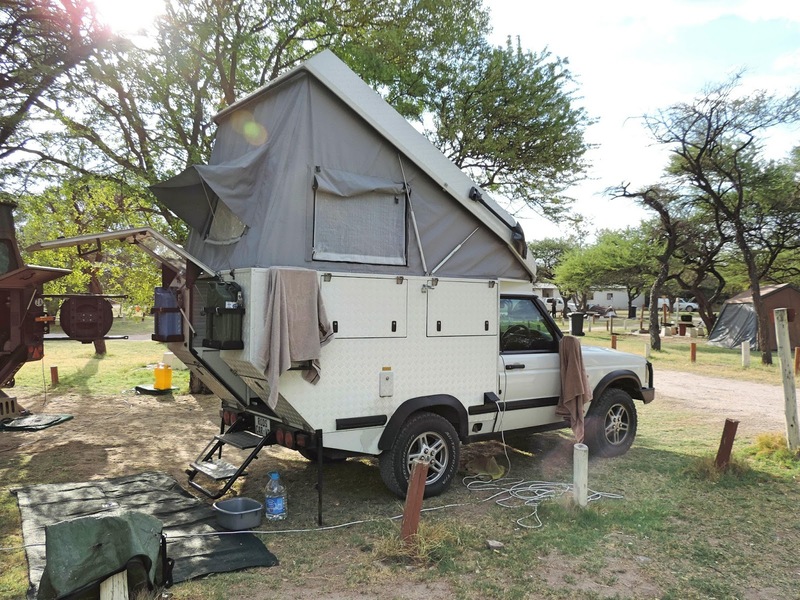 When we were in Namibia and South Africa, we also saw quite a few innovative looking camping rigs. We didn't see much in the way of motorhomes down there, but trailer camping is a big thing. Here's a kind of a hybrid unit on a four wheel drive chassis. How about this camping trailer! Talk about design and storage in a compact unit. Wow. We were amazed in these countries at the amount of camping stuff available. In the capital city of Windhoek, Namibia we came across a modern camping warehouse that had many products I've never even seen in Canada. 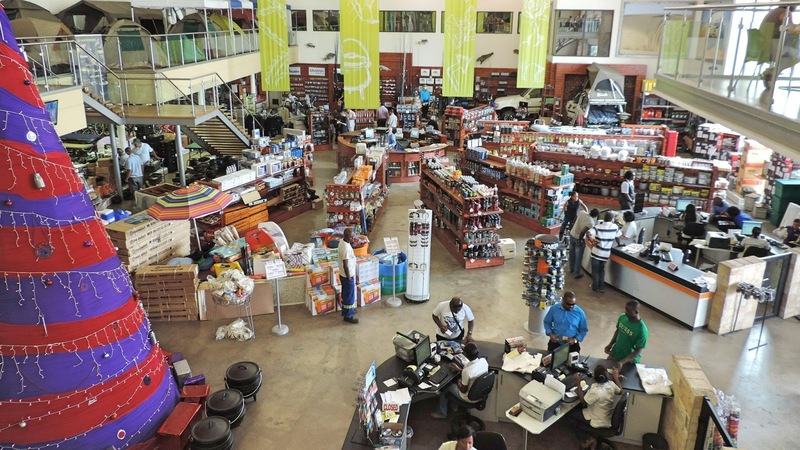 Camping warehouse store in Windhoek. We're really curious to see what they have for camping in South Korea. It's funny, but you don't really think of RV'ing to be a popular thing in Asia, but apparently it is in some areas. One item I am never without when we're in our motorhome is our jump start battery pack. This heavy duty version has come in handy many times for us and it should be part of your emergency RV repair and maintenance kit. It's our Amazon.com deal of the day! 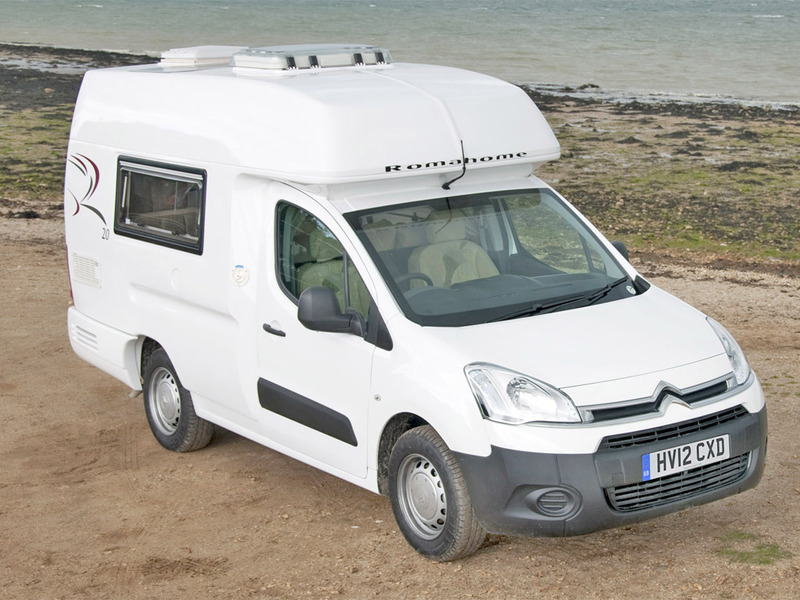 Very interesting to see what other countries offer in the RV type vehicles. Here in Australia the most popular are caravans followed closely by motorhomes. I think caravans are more popular here because of the long distances between towns in the outback and also because you can unhook a caravan and do some touring with just your tow vehicle which probably makes it more economical as fuel is very expensive here. I love reading your blog. Thanks for taking the time to comment Rosemary, we love to hear from our readers. Australia is definitely on our list of places to visit. I think that if we were to get some kind of vehicle there it would probably be a camper van or even just a van along with camping equipment. As you mentioned, fuel is expensive and I think that this option would probably be the cheapest. I am not a camper, but I sure enjoy seeing what is available. I love to visit REI, but I am such a fish out of water. Pun intended! Yep, we love REI and in Canada we have MEC which would be the equivalent. We are like kids in a candy shop when we go into stores like this. There are just so many cool things that we would love to have but just can't decide on what! Yep, there are a lot of cool rigs out there. Europeans, Australians, Japanese, and now the Chinese are strong in the rv market. The Americas seem to lag behind for some reason when it comes to design and technology in the rv market. You'd think we'd be copying them! I don't think that the American market lags behind, it's just that the majority of American (Canada and the USA) want big and they want comfort with all the amenities that they would have in a house. It is only a small portion of people that want the adventure that these setups would bring. Plus we have so much space and good highway infrastructure and cheaper gas than most of these countries. How wonderful to read this issue of your blog - Mike and I have fingers crossed that someday we might find and be able to afford the Conqueror 440 or 490, and you have one posted here! Maybe a reader could offer us advice on where to look in the USA for this super-duper vehicle made in Australia? My local RV resaler says it would be rare to find one available in the US, so maybe we'll have to do a vacation Down Under and bring one back! They seem to be able to go everywhere, even when it might be too difficult for our truck, and those are the off-road places we love to be. Thanks for all your info. They sure do look pretty neat and by the looks of things they can pretty much go wherever. I had a quick look on Google and it doesn't look like they have retailer in the US for these models which is such a shame. I think there would be a market for them but I guess it wouldn't be a big enough one to warrant it. Buying one and shipping it to the US doesn't look like it would be cheap but it might help if you were able to find a used one.